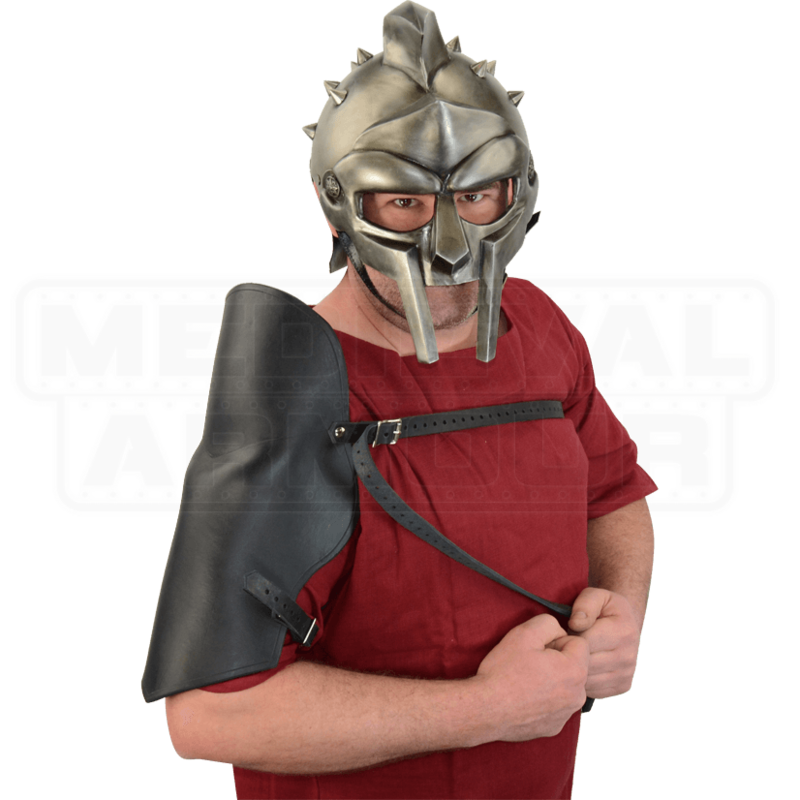 Our leather Gladiator Pauldron is intentionally sold individually, not as a pair, because Gladiators typically wore armor on the arm that was not using a sword, so if they used their sword with their right hand, they wore armor on the left arm. 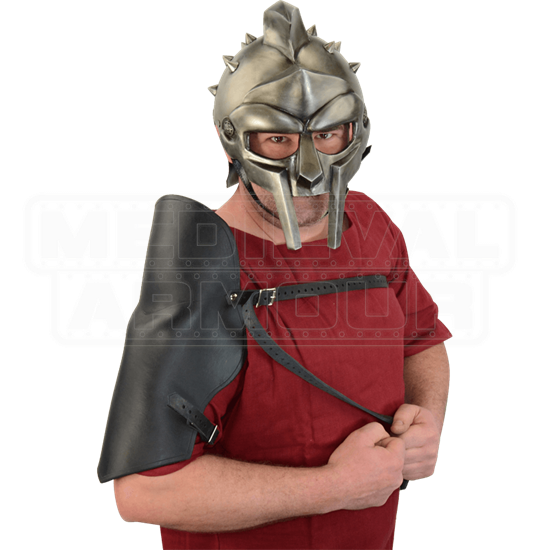 Our Gladiator Pauldron can be worn on either the left or right shoulder, depending on what hand you use your sword with. Pair this pauldron with any of our Roman armor for a great gladiator ensemble. We craft this armor from 13/15 oz. top quality leather. It is available in black, brown, red, green, or blue. This armor piece, to put it simply, is surprisingly well made for a mere $36.00. I thought the item would be somewhat soft and mushy. Quite the opposite. It's a bit more hefty then the picture shows it to be, but it is a very solid and secure piece of leather that fits comfortably to your arm. I would very much recommend this to anyone seeking an armor piece for the arm or a pauldron but wants to budget. I bought this item to go with a Jedi costume. I am very happy and will be returning here in the future.